With only a few blocks separating a zillion outposts in Manhattan, Starbucks has no shortage shops in NYC. And yet, the city will soon be home to not just another Frappuccino-slinging coffeeshop, but a massive coffee wonderland/monstrosity/pumpkin spice palace that will likely be the biggest Starbucks store on Earth. The company made it official in an announcement on Tuesday. 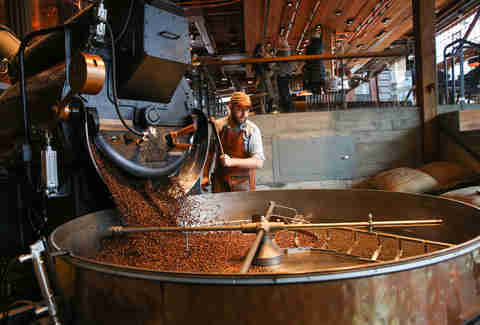 The enormous retail space and roasting facility, or Starbucks Reserve Roastery and Tasting Room, will basically be sandwiched by Chelsea Market and an Apple Store when it opens at 61 Ninth Avenue in the Meatpacking District at some point in 2018. Totaling more than 20,000sqft, the store will span at least two floors and will likely resemble (although overshadow) the first roastery and tasting room the coffee giant opened in its hometown of Seattle in late 2014. Picture wall-to-wall fancy coffee brewing equipment, roasting machinery, and a huge cafe and coffee bar run by mustachio'd baristas -- a Willy Wonka-style coffee playground. 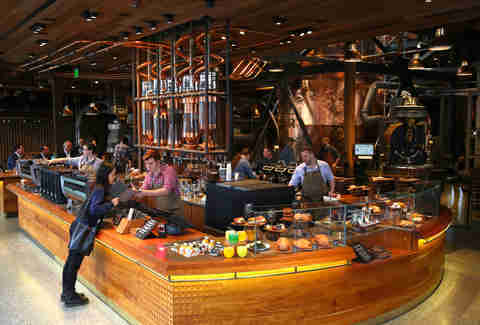 Starbucks describes the place as, "An homage to coffee, this first-of-its-kind experience has immersed customers in the craft of roasting and brewing the finest small lot coffees from around the world." 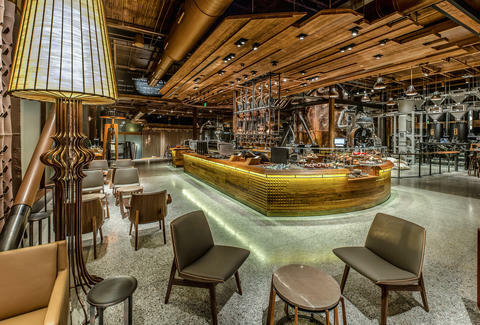 The Roastery experience, the company said, showcases "coffee as theater" and encourages customers to learn about its small batch coffee process from in-house baristas and roasters. In other words, it won't be a cookie-cutter corner cafe space full of Wi-Fi squatters and people tapping their feet while they wait for sugar-free vanilla lattes. The official announcement comes after months of declining to comment on rumors and reports of a giant, "Eataly-like" Starbucks opening in the neighborhood. While it won't be nearly as vast as Eataly, the retail behemoth will likely be the closest thing to a coffee-themed equivalent. And probably just as teeming with tourists. Tony Merevick is Cities News Editor at Thrillist and will have to check this thing out... in two years. Send news tips to news@thrillist.com and follow him on Twitter @tonymerevick.